While weddings are in the air right now, we wanted to share a gorgeous tradition that all 3 of us did at our weddings. The pier is a common tradition for the bride during the ceremony. 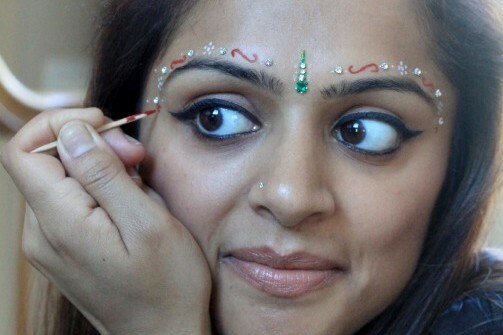 It decorates her face and looks beautiful with bridal attire. Guests can also do a simple version themselves or on their kids like we did here. 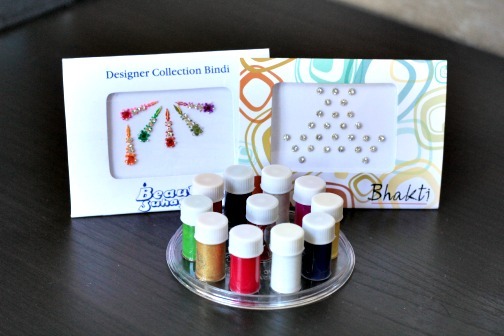 You can usually find ready-made bindi piers in an Indian accessory/sari store, but as you all know, we tend to shy away from ready-made things. 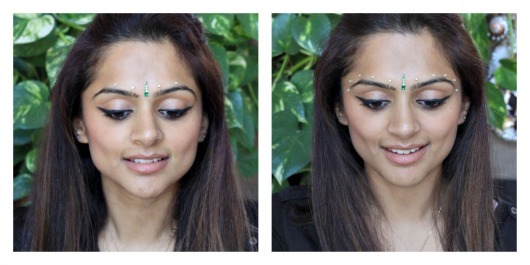 All 3 of us decided to create our own pier using a few bindis and our handy dandy liquid bindi (also knows as kumkum). We also used this set here to apply sindoor. 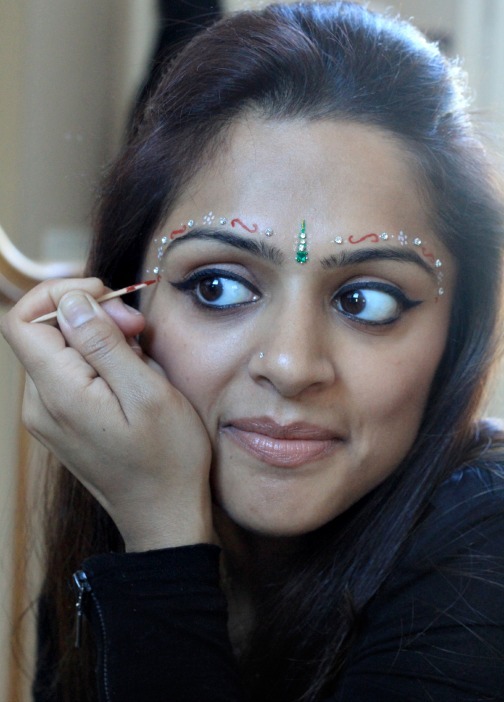 We used tweezers to apply the small bindis lining the eyebrows and used the liquid bindi and a toothpick to create the small designs in between. 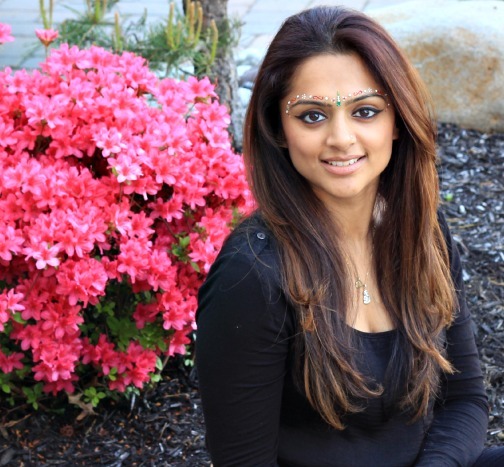 Give it a try for fun and tweet us your looks at @RunwaysRattles! Enjoy!